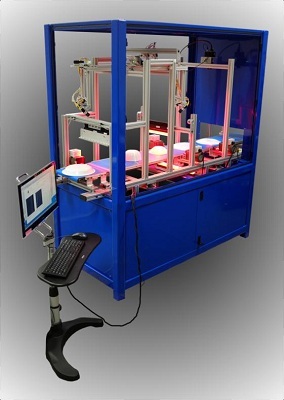 Coleman Technologies, Inc is proud to offer our ConveyorView series of Automated Visual Inspection Systems, which perform high-resolution inspection of both top and bottom surfaces of objects larger than 2 inches wide (51 mm). 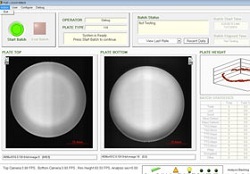 For objects smaller than 2 inches, we recommend CTI MultiView Inspection Systems. As the objects are conveyed through ConveyorView, it passes by customizable imaging substations that can view the sides, top, or bottom of the objects. The bottom of the parts can be inspected by passing over a small gap between two conveyors. Based on the results of the inspection, the objects can be separated or sorted using automated diverters. 12 inch wide by 3 foot long conveyors (1 inlet, 1 outlet), speeds 0 to 150 feet/min.